As a technical consultant I travel frequently in the German-speaking regions: Frankfurt, Zürich, Hamburg, etc. I buy an annual ticket in Stuttgart, where I live. And when I'm out working, I usually buy multi-day tickets. The German ticketing systems are very complicated in general. These systems build upon parameters such as specific time periods in a day, specific days in a week, specific "zones", ages even family status of the ticket buyers, etc, etc. For a foreigner, they are usually arguably more complex than a typical ACM paper. 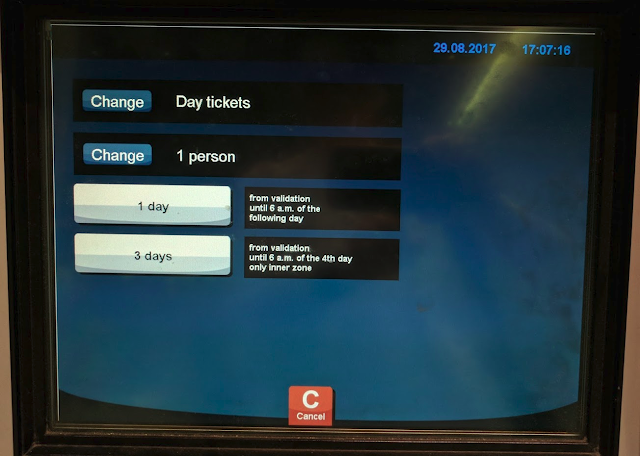 Some sorts of tickets require "validation", but in Hamburg and Zürich for example, their day tickets do not require manual validation. The day tickets are automatically valid once they are sold, and will expire either until the next day or after 24 hours. I'm just used to this and thought Munich is the same. I usually bought 3-day tickets in Munich. The first time when I bought it, I looked for the time stamp, found one, and felt safe. It was always like this and I never encountered any ticket conductor until this morning. I bought a 3-day ticket yesterday. This morning there were conductors in my commute subway, and one said my ticket is not valid. In surprise I showed the time stamp to the conductor. He said that is the stamp of selling, he needed a stamp of validation. I said I'm sorry I did not know it, I'm from another city. He said there's a 60-Euro fine to pay. 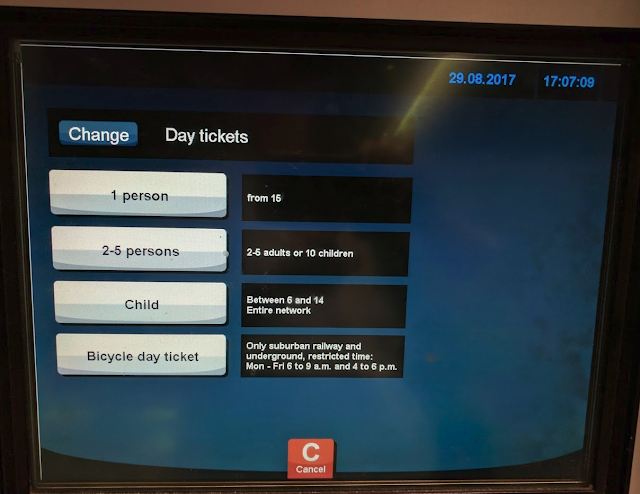 I looked at my ticket and said, it's not that I tried to lie, I really did not know the rule specific in Munich, could you please mark this ticket as "valid from yesterday" so that I get my fair share of ride time? He said he could not do it, and started to talk in a very hard tone. The gentleman sitting beside me tried to help, he said the ticket was still freshly bought, why not just time stamp it and let her go? This gentleman was scolded and I felt so sorry for him. Well, to make a long story short, later I tried to appeal at the customer centre of Munich Public Transport (MVG), and was treated like a criminal. No chance to get myself understood, no chance to tell my whole story, the service staff said it was all my fault not getting informed before I travel to Munich, thus they must classify me as a "Schwarzfahrer (fare dodger)". She said "You have to be fined. It is not unfair, every body comes to the customer centre with an excuse, we must treat all of you equally. It's really your fault". Yes she is right on one point. I should have informed myself better. My laziness, my apology. But I can only take 50% of the fault. MVG and the intentional Schwarzfahrer have their own shares too. 1. 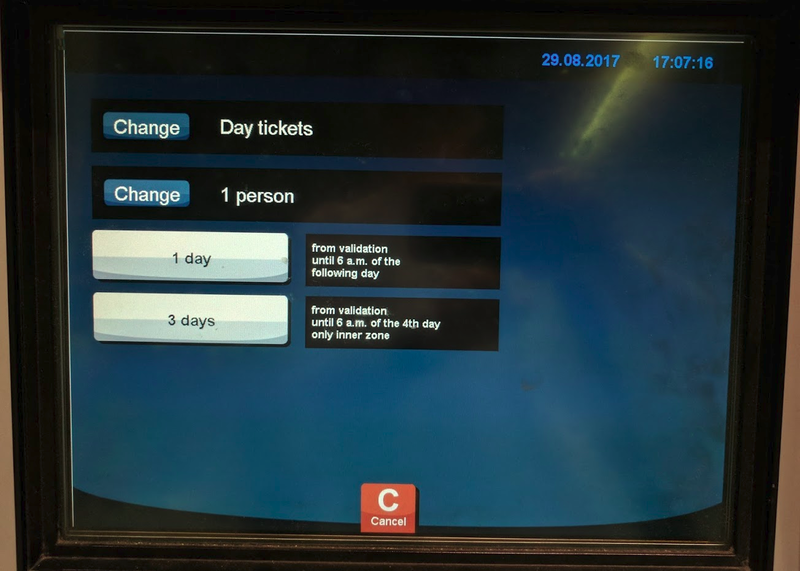 The grossly flawed ticketing system of MVG, which makes users from other cities easily make mistakes and get fined. 2. The way how an actually innocent passenger (user) is treated there. Let me first talk about the second point and get my emotion out. I've been always an honest passenger, never tried to ride without a ticket and never tried to lie about my ride time. I wrote countless blog entries singing ode to the public transport. I coded for a software system for Deutsche Bahn for 2+ years, remain loyal to them till today. For all my business travels my employer has all the past tickets, MVG could investigate if they want. No body cares about all these facts, no body cares to listen. Sorry but I find it so, so, so, extremely unfair to classify me as a "Schwarzfahrer", it is an _extraordinary insult_. I was speechless when the staff at customer centre of MVG started to blame me like I were a criminal. First she had very hard judge on me. Second she was so merciless, even a bit gloat when saying I forgot to inform myself (she said Pech, which means bad luck). This is not the correct way to treat any customer. After all, the MVG is there to serve and help people, but not to make innocent but unlucky people feel bad about themselves. Many local workers in Munich have done a great job at making people from other cities feel welcome: the staff at my hotel, the staff in restaurants.....I am endlessly thankful to all of them and I love Munich because of them. The service quality at the MVG customer centre just does not match. Now let me come to the first point above and get back to technical stuff. Basically I am not a fan of the uncontrolled entrance to the platforms. It provides too much convenience for intentional fare dodgers, and we honest passengers become victims. This alone is not fair to passengers who do buy tickets. But the whole Germany / Switzerland are like this. Maybe adding turnstiles to existing stations are too expensive. Then, MVG could at least cancel that validation machine altogether, at least for the x-day tickets. 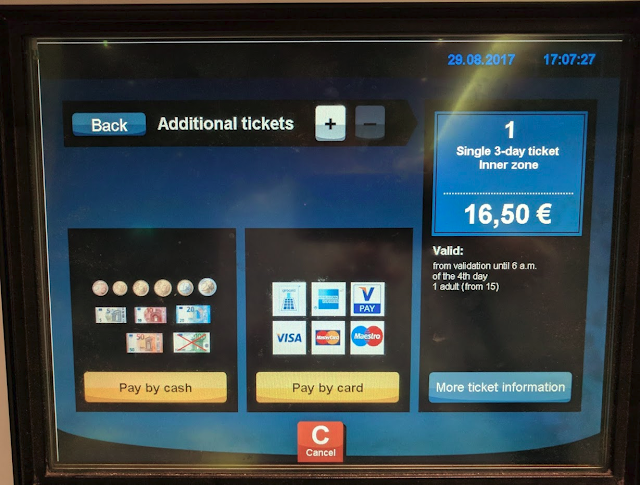 Surely there will be a little bit less flexibility, but passengers could make less mistakes and save the work of validation. On every Deutsche Bahn (DB) ticket, there is automatically validation period, passengers do not have to do any extra validation. For x-day tickets MVG please follow DB, or Stuttgart, or Zürich, or Hamburg. If, they insist on validation, then at least please add _significant_ notices on the tickets which do need validation. 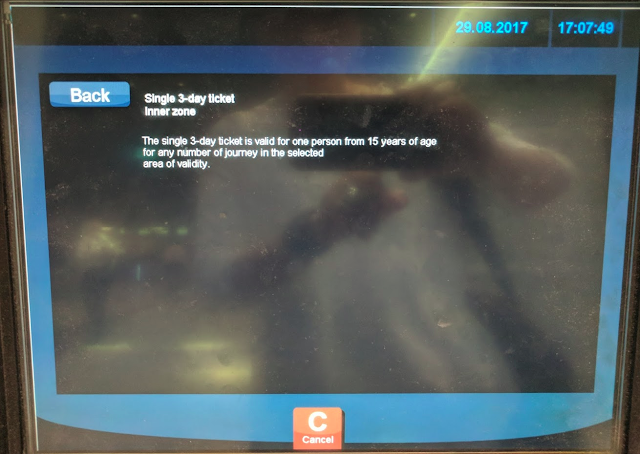 As I just checked, the notice is there on the last screen of "3 days ticket", but it is in small print and actually not that intuitive for many people who do not know what a validation actually means. I would suggest an animation on the same screen. The animation could be a hand inserting the ticket into the small blue validation machine. It is really MVG's job to help passengers do things as MVG perceive, please do not blame passengers at 120% when something was not totally right. When misfortune happens (such as in my case), there should be mechanisms to differentiate unintentional rule breakers and intentional rule breakers, and please do not insult people. Beside / beyond rules there are common sense and logical thinking. In my case, the earliest possible valid moment is printed on the ticket (when I bought it), and the earliest possible invalid moment is 3 days after the time of purchase. The time point when my ticket got inspected lies perfectly between these two boundaries. So no matter I stamp it with an extra time or not, it is still valid!!! This is what I call common sense and logical thinking. I just hope every staff at MVG can also think this way. The bottom line is: MVG, or any other service companies, are meant to build their business upon serving and helping people, to make our society a better place, but not meant to treat people as criminals when some rules are unintentionally broken. 3. Then you can choose 1 day or 3 days. There is a small notice about "from validation....", but the thing is, such day tickets in many other cities are automatically valid when you buy it: Stuttgart, Zürich, Barcelona, Lisbon, Frankfurt...... So I just ignored that notice. You don't make the same mistake!!! If MVG is willing to implement my suggestion, I am more than happy to help on the software part. I am very fastidious about user experiences, will strive to create something that is at least easier to understand and more difficult to make mistakes than the currently system. MVG can count on me. 1. 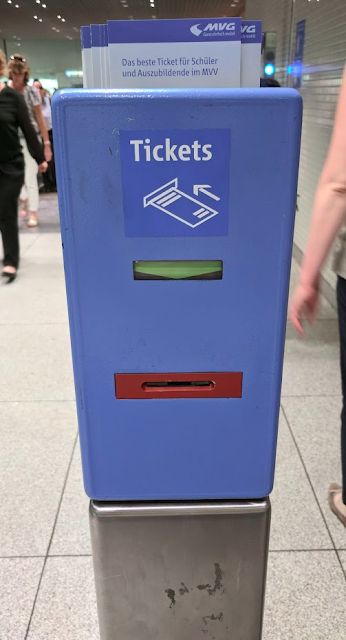 To help people from other places to get well informed about the MVG ticketing system, avoid getting any personal insult from unfriendly MVG staff if you don't know your ticket should be validated or simply forget to validate. 2. 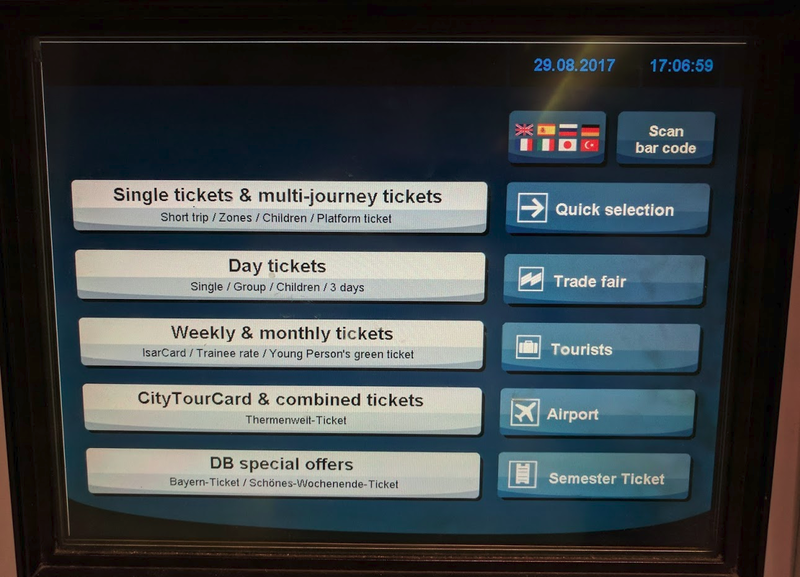 To voice our desire to fix the flawed user experience of the MVG ticketing system. Together let's make the beautiful Munich a more friendly place for business travelers and tourists! Thank you very much for reading!